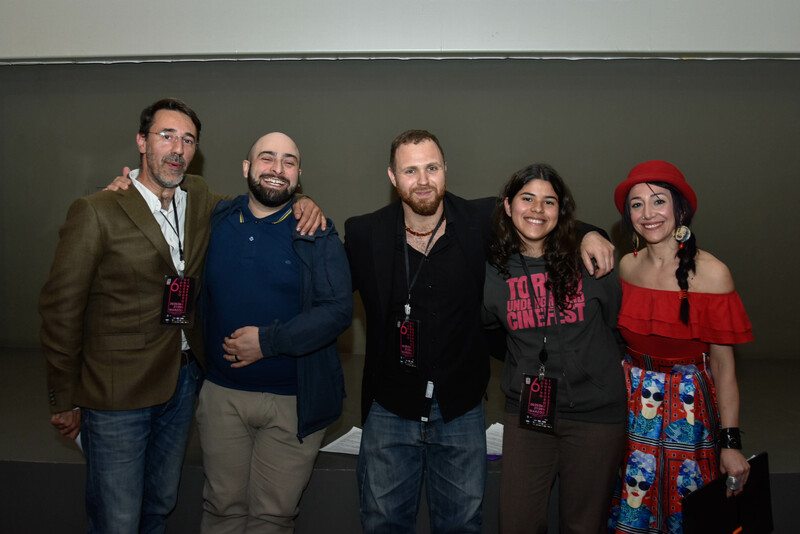 After the official selection, the members of a competent jury are in charge to nominate the best short and the best feature. Winning films will be played in a cinema hall in Turin, during a public event. 7th TUC 2020 submission will be available from April 11th 2019 to January 29th 2020 on our online platforms. Money prizes will be attributed to the Best Short film and the Best Feature film. Short films: For films lasting between 1 and 59 min. To enter in the official selection of 7th TUC 2020, movies will be subjected to the vision of an internal jury of the festival. The selected movies will access the official competition. There will be prizes for the best short film and the best feature film. (cash prizes will be announced within 5 days after the submissions period). Art. 1 The TUC 2020 7th edition festival is an independent cinema festival open to any form of artistic expression. Documentary: For documentary with a running time from 1-120 minutes. Submitted films have to be an original work of the contestant and have to be completed after January 1st, 2015. Films dealing with all themes are allowed to the festival, with the only exception of advertising and pornographic contents, or themes in contravention of the provisions of the Italian law. Films in any different language from English have to be subtitled in English. Films in Spanish and Italian are allowed not to have subtitles. Art. 2 – The contestants, when submitting the film, guarantee that they have full rights to present it and engage themselves to hold harmless the Systemout Association for any fact linked to the possession or diffusion of contents of the same under the conditions of the terms and rules of this document. 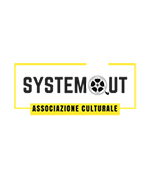 The Systemout Association has the right to exclude from the festival any film that is judged, at its sole discretion, not compliant with its ethical code or to the provisions of applicable law. In case of exclusion, the festival fee that has already been paid will not be refunded. Art. 3 – The 7th edition TUC 2020 standard enrolling fee start from 16$ (USD) for one feature film and 14$ (USD) for one short film. Additional films can be submitted under the payment of an additional 16$/14$ (USD) fee for each of them. The payment of the festival’s submission fee implies the acceptance of the terms and rules defined in this document and your association, after approval, to the Systemout Association until December 31st of current solar year, as an affiliated member without vote right, as defined in Art. 4 and Art. 5 of the association Bylaw. Art. 4 – The films submitted to the 7th edition of TUC 2020 festival will remain in the files of the Systemout Association, which will not share them without previous agreement with the contestant and except to the provisions that are described in the Art. 5 and Art. 6 of the present document. The contestant’s personal information will be managed in accordance with the rules defined European Law (UE 2016/679) concerning the privacy code, according to which the personal identification data will be processed only for the purposes indicated in this regulation. Each subject has the right to request in writing the correction, updating or cancellation of his / her personal data. The data controller is the Systemout Association in the person of its legal representative Sig. Mauro Russo. By submitting a film to the TUC , the contestant agrees to receive from the Systemout Association information concerning the activities of the Association by email. Art. 5 – By submitting a film to the TUC 2020 7th edition festival, the contestant allows the Systemout Association to make available to the public the submitted film data sheets. These ones are created when using the most relevant film characteristics that are communicated by the contestant during the submission of the film on the web platforms. Art. 6 – Submissions to the TUC 2020 7th edition festival will open on April 11th, 2019 and will close on January 29th 2020. They will be performed by using the above-mentioned web platforms. The selected film sheets will be available on the official website www.tucfest.com, as defined in Art. 5. Art. 7 – The Festival will attribute to the winners of the Best Short and the Best Feature Film a prize money as contribution for scholarships or cultural activities. The amount of prizes will be defined and announced within 5 days counted from the submission closure date. Art. 8 – The TUC 2020 final event will be a public event which includes the projection of the selected films and at the end the awarding by the festival jury who will define the winners of festival category. The event will be at the end of the March 2019 at the “Cinema Classico” cinema hall located in Piazza Vittorio Veneto 5, in Turin (Italy). The date will be announced on the website www.tucfest.com as soon as possible. The awarded contestants, the public and specialized press are all invited to the live event. The Association cannot engage itself in any reimbursing for trips and stay of the invited to the event. This document, for contestants’ convenience, is a non-binding translation of the official terms and conditions issued in the Italian language; in case of litigation, the official text is the original in Italian language .